It's that time of year! Happy Hallowthankmas! Let's see what you are creating! Join us in the Facebook groups post your photos, get ideas and inspire others! It's time to start making those gifts for those special people on your Christmas list. Don't forget to make your Christmas wish list! 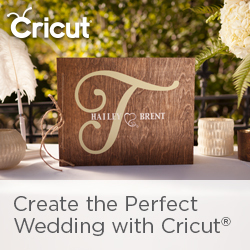 Get the Cricut Maker ® or EasyPress 2, if you have been really good maybe Santa will grab both! What's on your wish list this year?